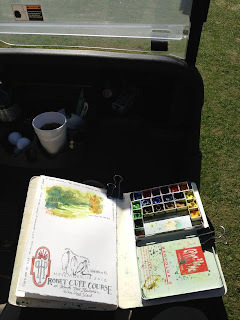 Yes, my kind of golf game now is sitting in the golf cart and sketching while Rob plays :) I remember the last time I played this course was back in the mid '90's. The bunkers were geometric in shape. It was not a kind course for me to play then.... and all these years later, I'm quite satisfied in being a passenger in the golf cart! 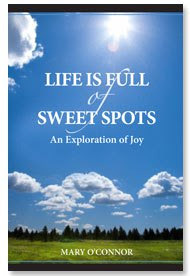 A delightful day! The temps were in the high 60's, sun shining bright, the course was loaded with players and we couldn't have been happier. The couple we were paired up with didn't like the slow play but not us. We love to take our time and enjoy the day.... not race around the course. It gave me lot's of time to study and sketch things that caught my eye. Five hours to play 18 holes. Nice! 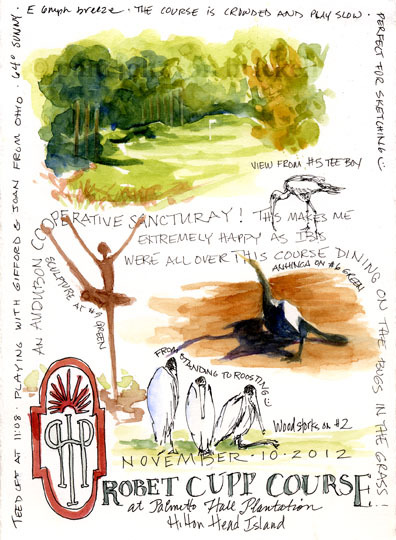 Lovely journal page. Nice set up for painting out on the course.